Do a quick search for the topic of “mistakes” around some of the most followed blogs for professionals and entrepreneurs, and what’ll you find? 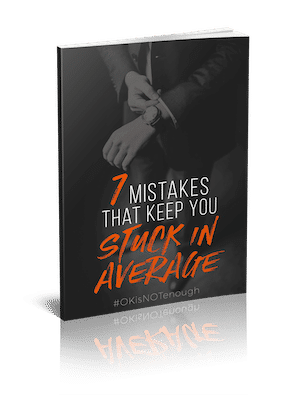 Article after article about mistakes that people make in every possible situation (from starting a new job to buying a house, and even booking an airline ticket) – and, often, how you can avoid making them. So if you’re afraid of making mistakes, you’re not alone. People around the world invest time, money and energy to avoid mistakes, all in an attempt to do what they want to do more confidently. But the truth is, making mistakes can be a more effective confidence-builder than avoiding them. Elon Musk’s Space X recently launched and landed the Falcon 9 successfully, but it’s no secret that there were a number of failed attempts, parts broken into pieces, and millions of dollars lost in explosions. SpaceX has been so open about their efforts that they livestream their attempts despite knowing that things could go very wrong while the world watches. There are even videos of their failed tests being watched over and over again. Strangely, though, the last thing you’d think about Elon Musk and the SpaceX team is that they lack confidence. 1. Less focus on mistakes means more focus on the bigger picture. When you focus on avoiding mistakes, that’s a big chunk of your focus and energy not spent on growth and improvement. On the other hand, when you worry less about avoiding mistakes, you can focus more on what you’d really like to achieve. Think about it: how confident do you really feel thinking about what you shouldn’t be doing? You’re likely to be more uplifted and more confident when you focus on what you’d like to achieve instead. 2. Making mistakes helps build a learning mindset. Sometimes no matter how hard you try, something falls through the cracks and you make a mistake anyway. Because you’ve put so much time and effort into avoiding mistakes, when you do make a mistake, you’ll likely be so frustrated you’ve missed something, it’ll be difficult for you to analyse what went wrong and understand what you could do better when you try again. But frustration in yourself doesn’t build your confidence; learning from the mistake and moving on quickly does. 3. Mistakes bring you closer to what works. When all’s said and done, a mistake is something that didn’t work. You did something (or in some situations, you didn’t do something), it didn’t work, it evolves into something you Shouldn’t Have Done, and at this point it’s easy to get caught up in the regret. Regret does nothing for your confidence; instead it chips away at your confidence every time you relive the moment in your head. But here’s another way to look at it: while it was something that you Shouldn’t Have Done, there still remains the thing that you Absolutely Should Do. When you change how you think about the mistake, you’ll become more confident to try again and again in the name of finding what works. Stop hiding and forget the regret. Get out there and make some mistakes.